On July 14, 1789, a group of Parisian revolutionaries seized the Bastille prison in a dramatic act of protest against King Louis XVI. 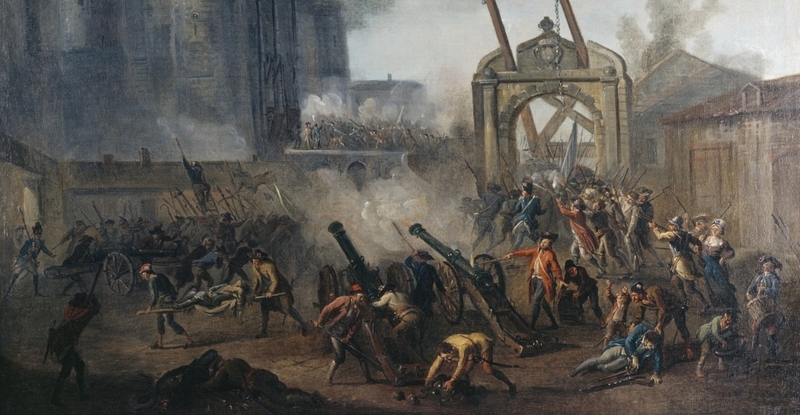 The storming of the Bastille was the symbolic start of the French Revolution. Marie Antoinette was an Austrian princess who married Louis XVI, then the Dauphin of France, at the age of 14. Her extravagant lifestyle made her an unpopular figure and symbol of the monarchy's decadence. At the height of the French Revolution, Louis XVI was tried before the National Convention and convicted of high treason. He was executed by guillotine on January 21, 1793. Georges Jacques Danton was an early leader of the French Revolution. He was executed by guillotine in 1794 during the Reign of Terror. Fireworks burst over Paris' Eiffel Tower during traditional Bastille Day celebrations on July 14, 2009. A military parade and fireworks are held each year to commemorate the 1789 storming of the Bastille prison.